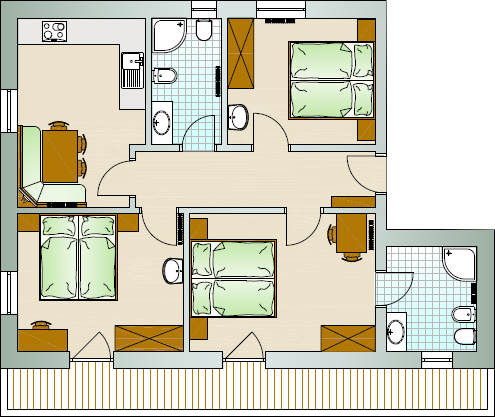 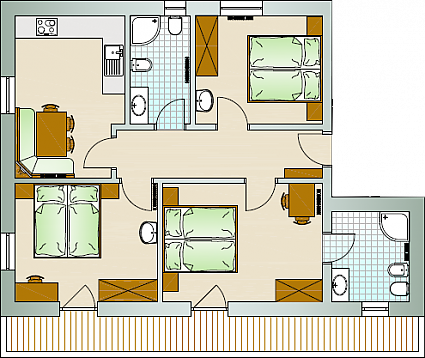 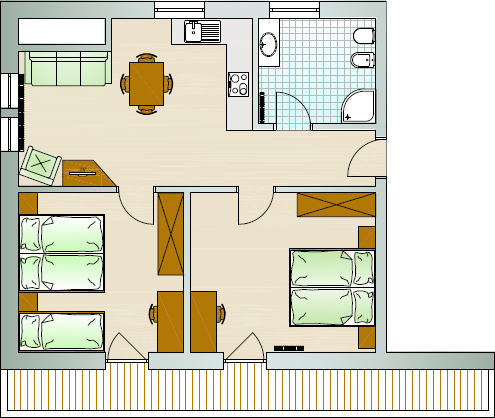 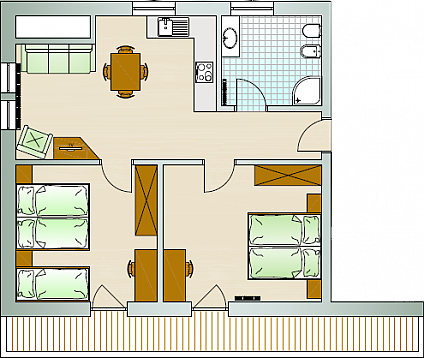 La Montanara offers various apartments of differing size, for 4 to 6 people. 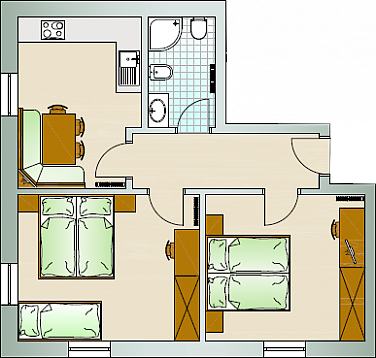 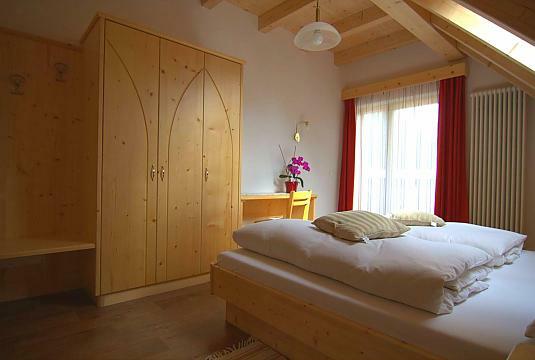 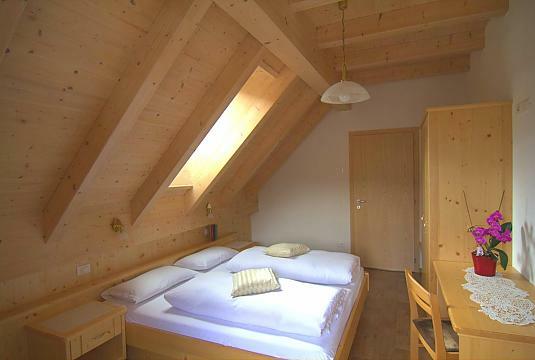 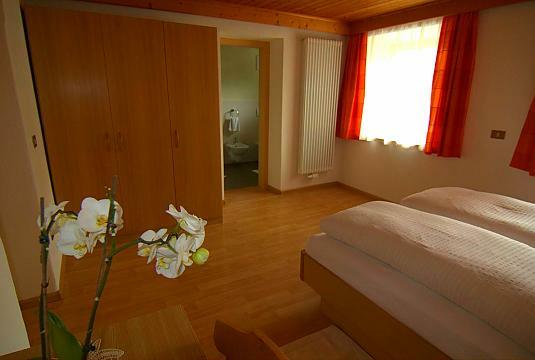 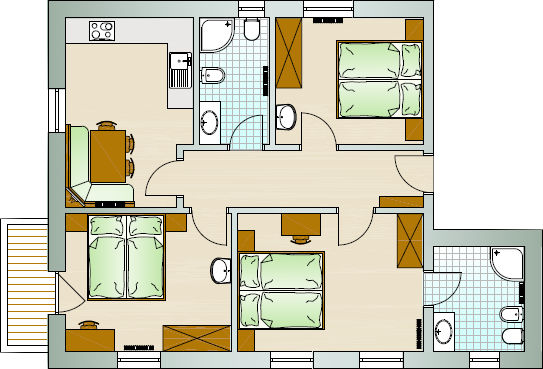 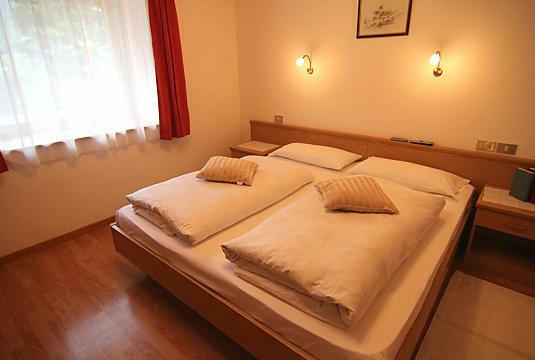 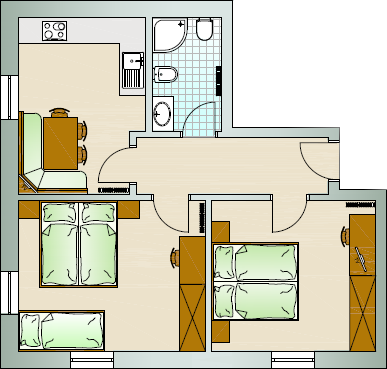 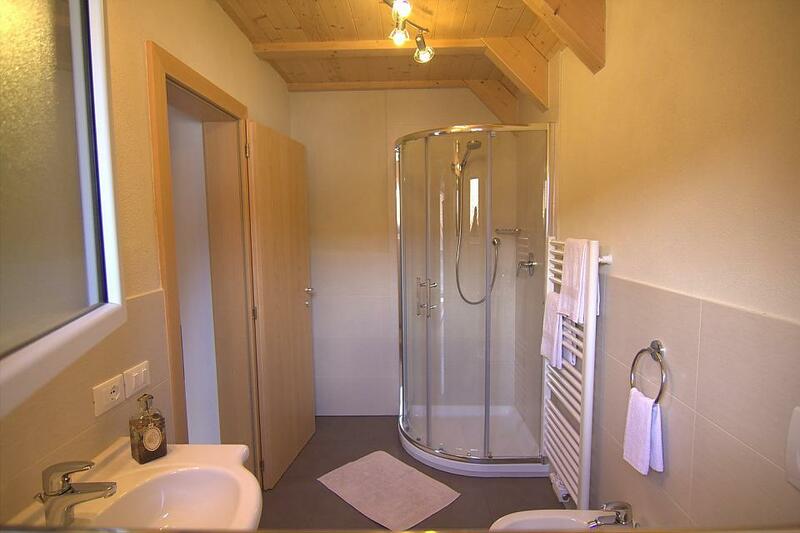 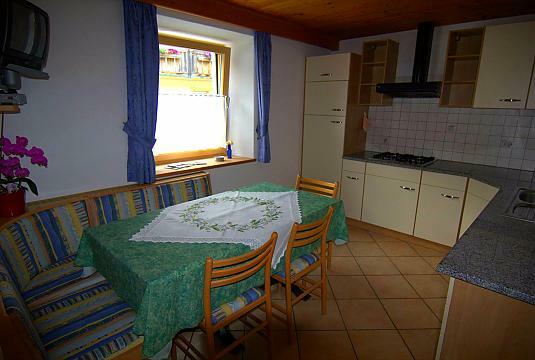 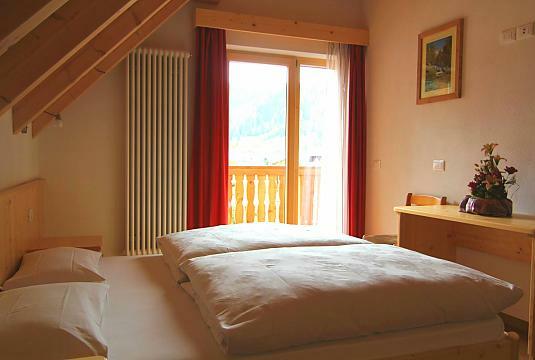 All are spacious and furnished with care and respect for the traditional style of South Tyrol. 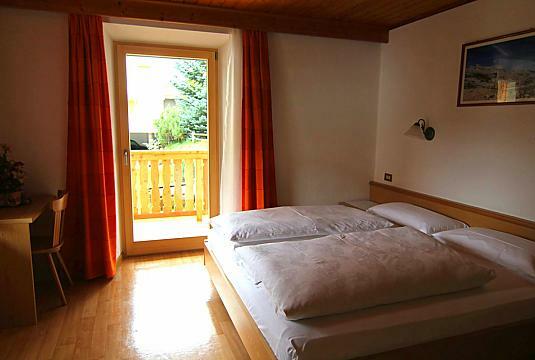 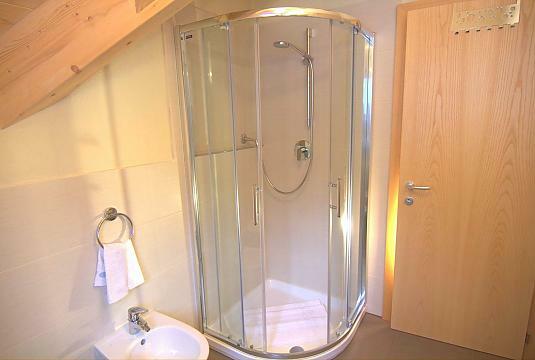 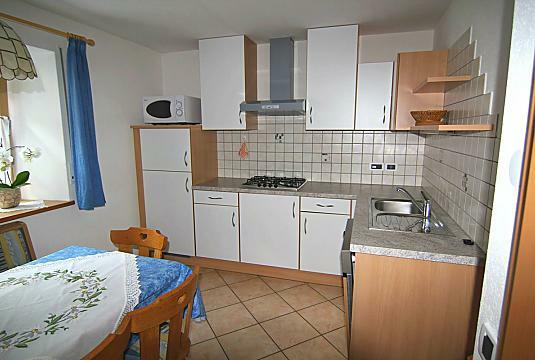 Our apartments are thought to guarantee you a relaxing and pleasant holiday in the Dolomites. 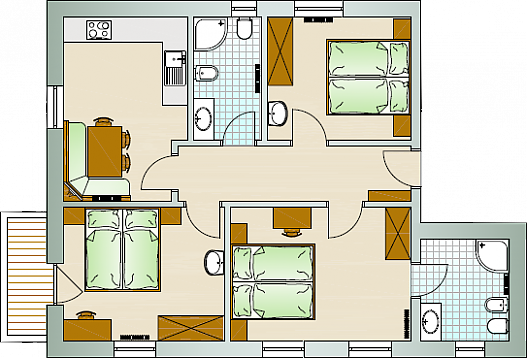 Therefore they are functional and equipped with everything you need: kitchen, TV-SAT, safe, dish washer, washing machine. 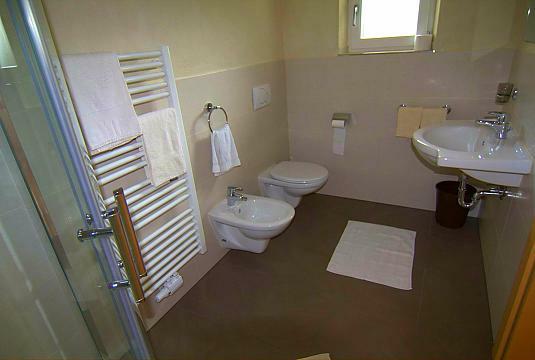 Linen and bath towels are always included.